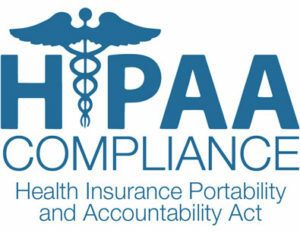 your data, with that in mind we strive to maintain 100 percent compliance for HIPAA regulations. Our IT experts will work with you directly to ensure your organization’s technology infrastructure is protected against any data loss or leaks and recommend procedural changes that are necessary so you are HIPAA compliant also. Dog Bytes Computers adheres to all HIPAA guidelines, if you’d like to learn more about HIPAA compliancy and our data protection services, contact us today.